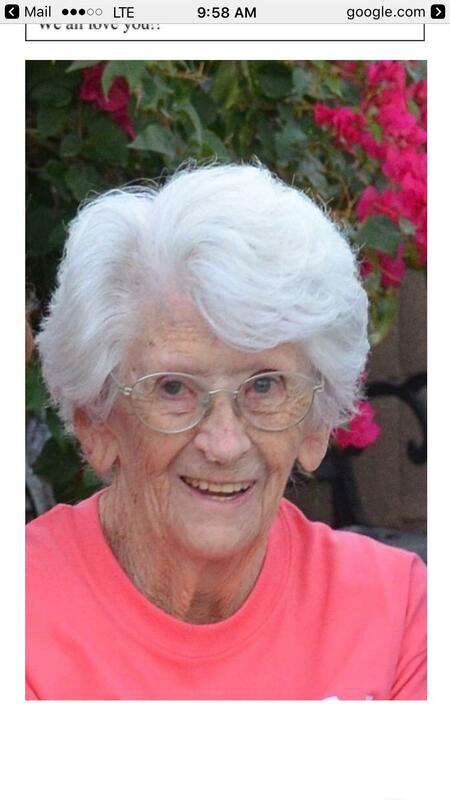 Pearl M. Lawson, 93 passed away Sunday evening July 9, 2017 at home in Mesa, AZ surrounded by family. Zelda Pearl Mortensen was born June 23, 1924 in Magna, Utah to Peter and Mary Martha (Rindlisbacher) Mortensen. She was the youngest child in her family with 10 older siblings. All have preceded her in death except her sister Laura Mortensen Benoit (97) of Washington. She was raised on a farm in Granger, Utah. Pearl is survived by her loving husband of 54 years, Hugh W. Lawson, her daughter, Mary Joan Swan Walton (Max), 4 grandchildren, Justine Walton Powell (Chris), Ginger Walton (Tom Jerdon), Melanie Walton Blancas, and Brett Walton, 16 great grandchildren, and 11 great-great grandchildren. She is preceded in death by her former husband Oral Anderson Swan. In her earlier years, Pearl enjoyed cooking, specializing in candy making. She and her husband loved going to town to go dancing especially during their courtship and early years of marriage. She enjoyed drawing with an emphasis in charcoals. They loved going out to eat throughout their life especially breakfast. She lived in Utah and California for many years then Nevada, and most recently Mesa, AZ, to be closer to her daughter and family. Pearl was a member of the Church of Jesus Christ of Latter-day Saints. Graveside service will be held at the National Memorial Cemetery of Arizona (23029 N. Cave Creek Road, Phoenix, AZ 85024) on Friday July 14, 2017 @ 10:30 AM. Thanks for the tender memories. I loved playing paper dolls under the apple tree with you. Love you!